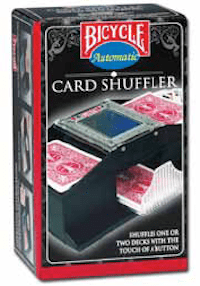 Shuffle one to two decks with the press of a button. Guarantee a clean game. Great for bridge or poker size playing cards. Requires one 9-volt battery (not included).